Having finished up with the excellent Black Mesa, it’s time to move on to our next Game Club. Over the next couple of months we will be playing through the classic PC adventure game, Dreamweb. It’s broken into four parts, and we will focus on one part every fortnight. 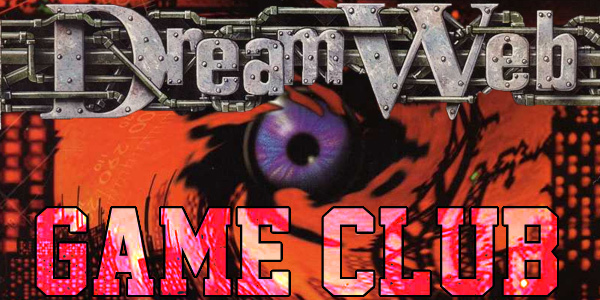 Dreamweb is available free to play using ScummVM, and you can grab it here. Make sure to grab the UK version too, because the US version is censored. The first milestone will be to the end of Part 1, and we will discuss it at the end of the show, in a couple of weeks.